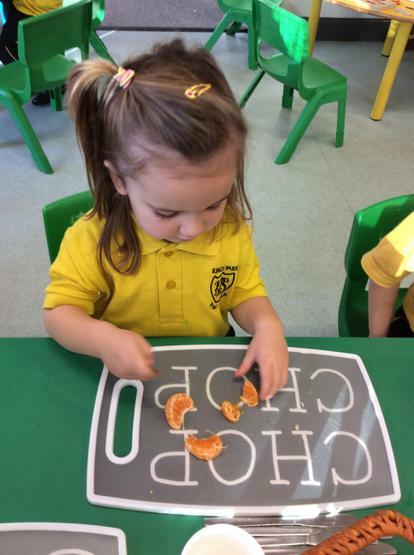 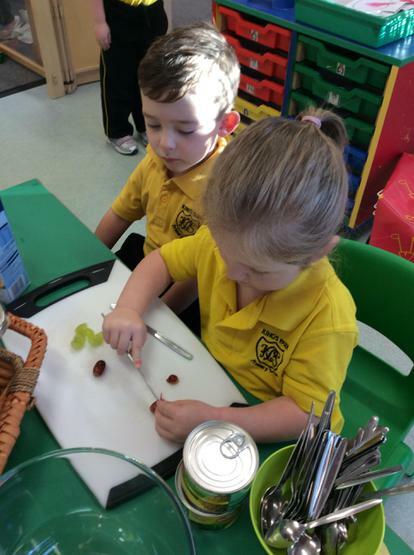 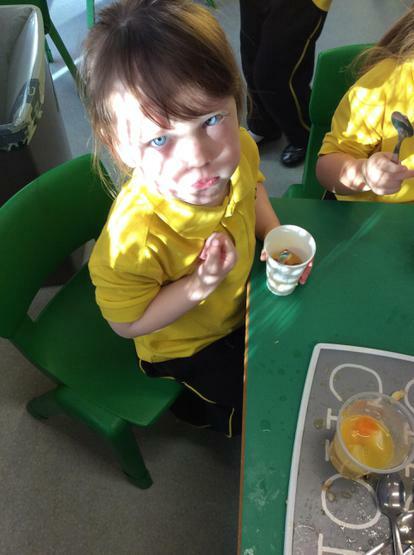 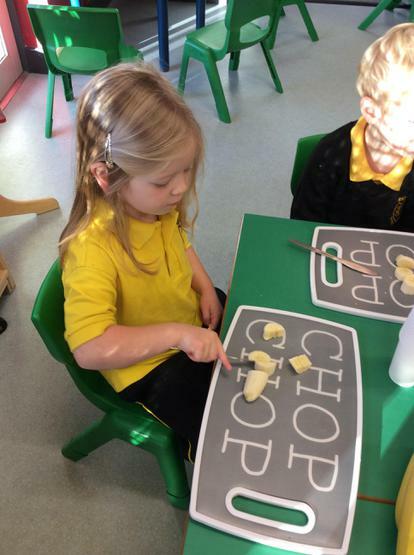 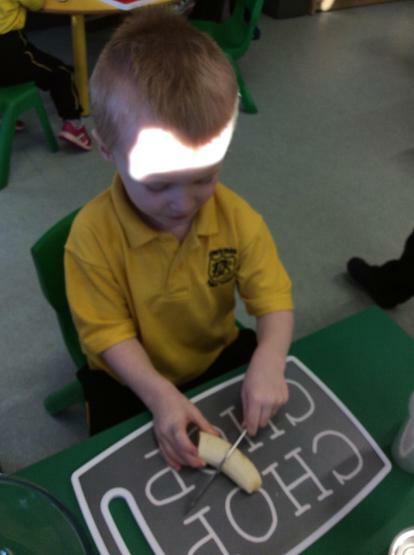 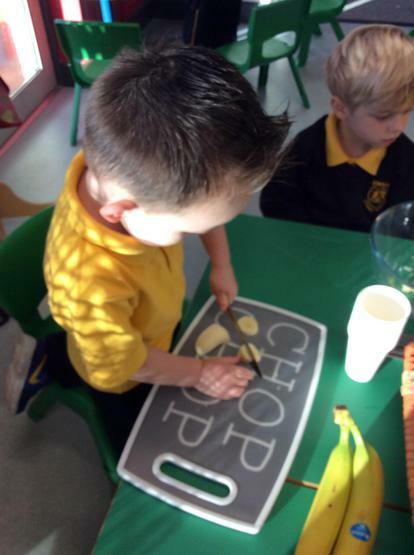 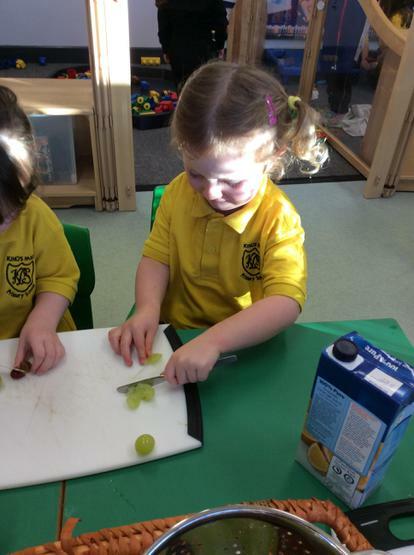 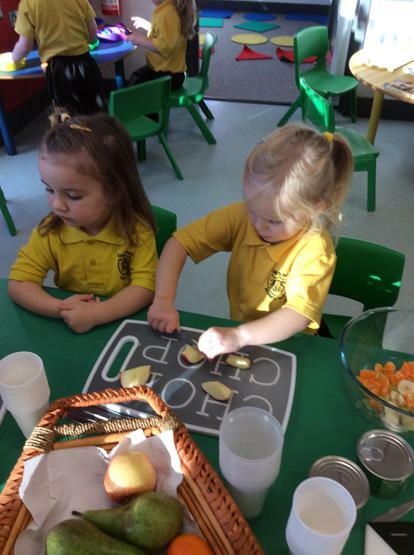 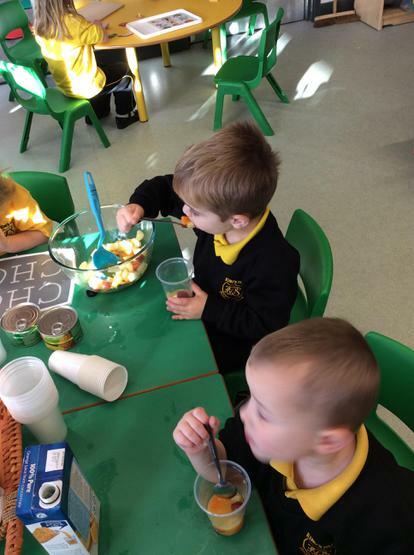 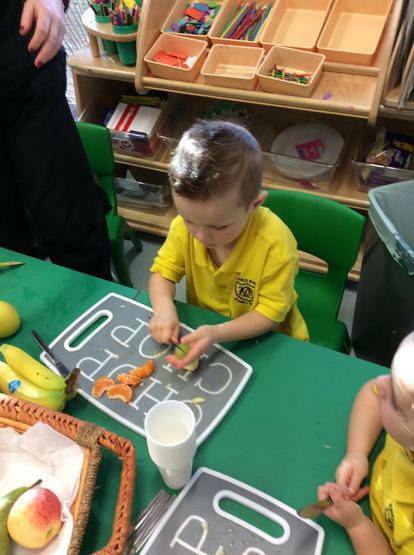 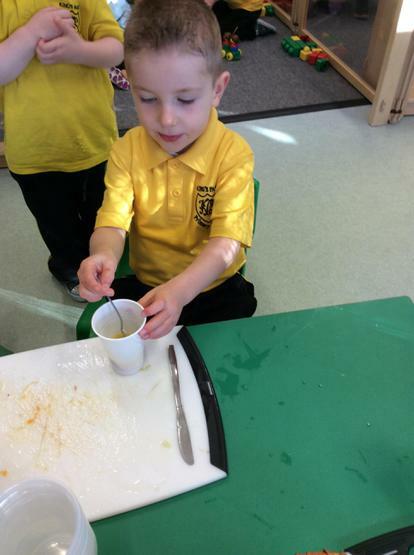 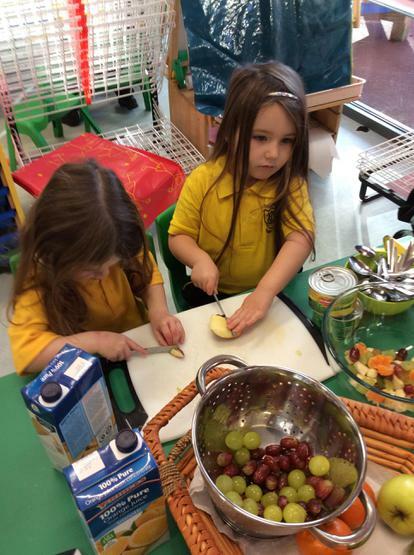 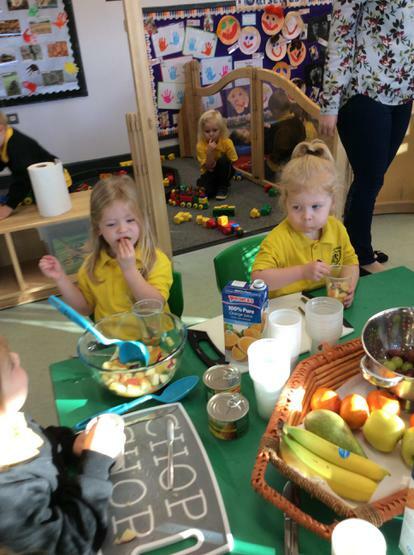 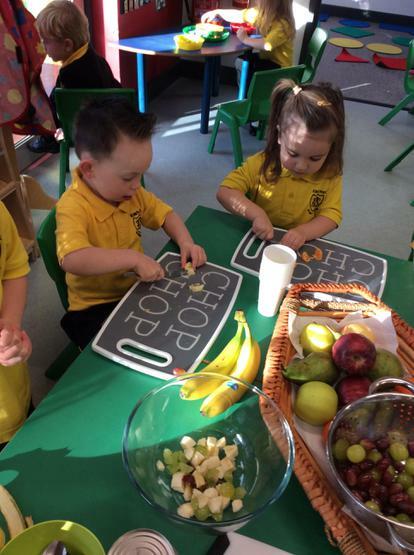 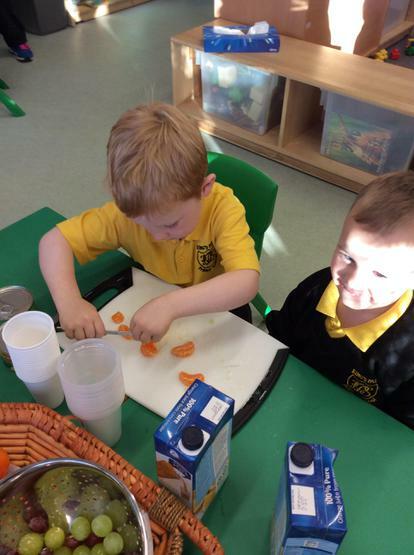 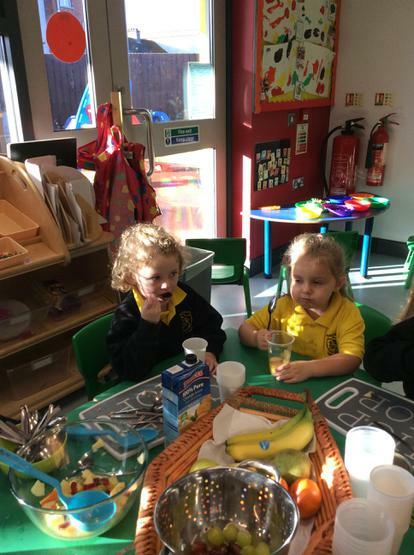 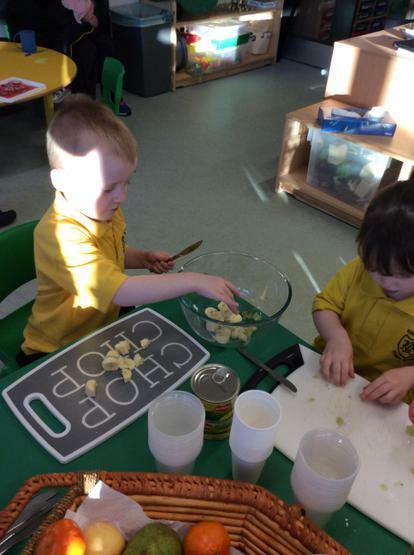 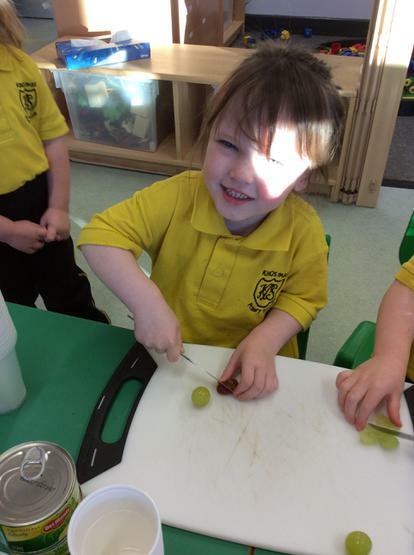 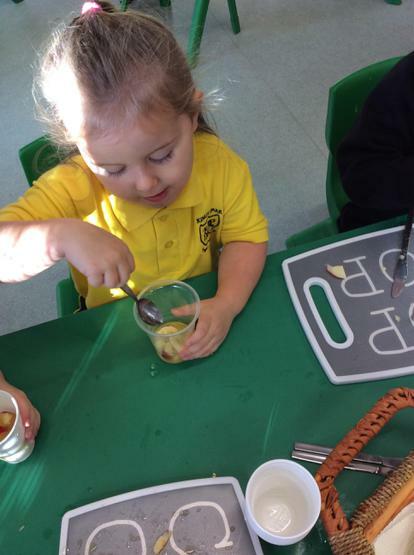 We have been learning about healthy and unhealthy foods in Nursery. 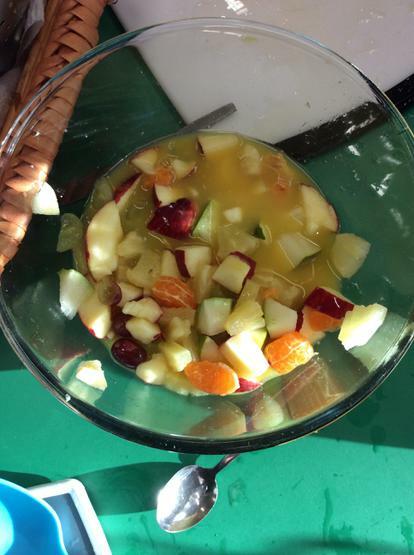 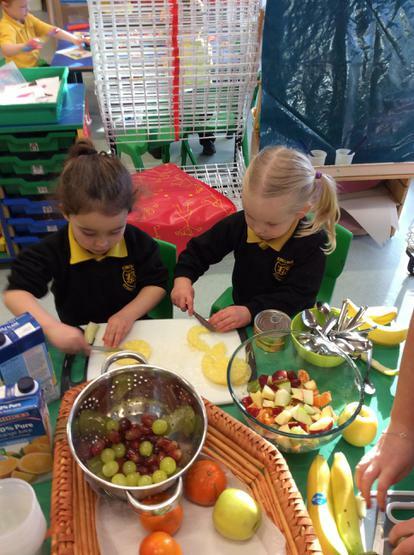 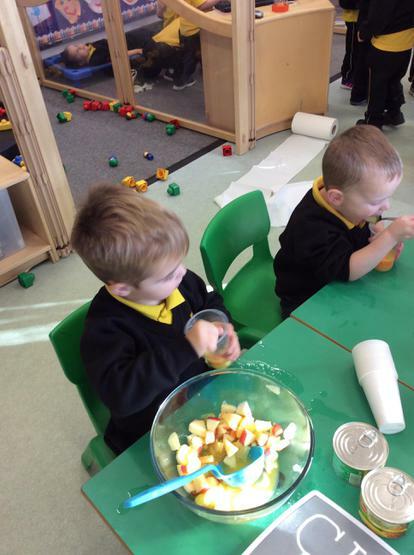 We made delicious fruit salad using a variety of fresh fruits. 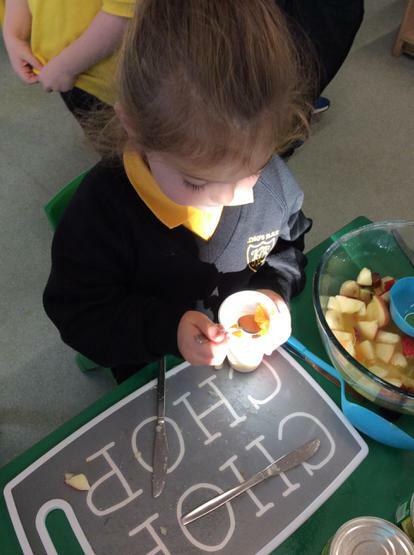 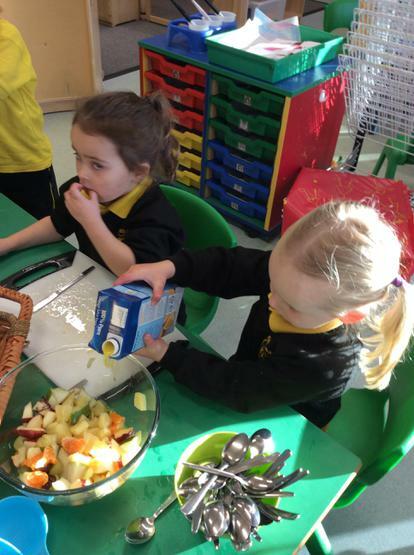 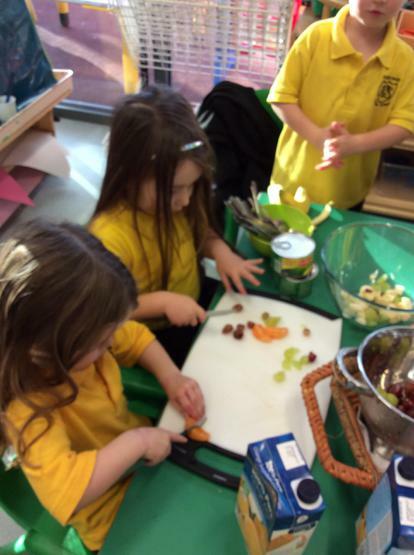 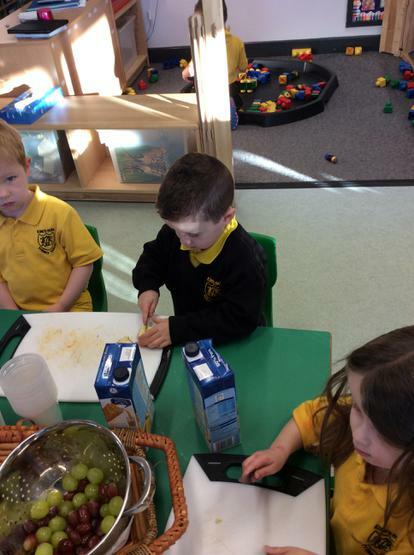 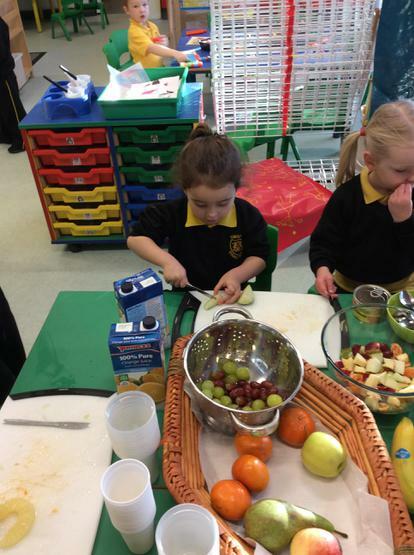 We helped to peel and cut up the fruit and then we added fresh orange juice to make our fruit salad. 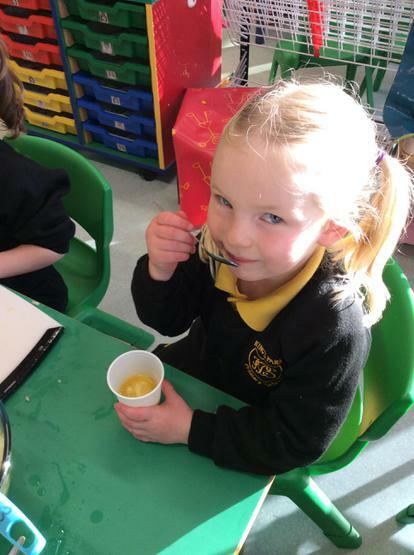 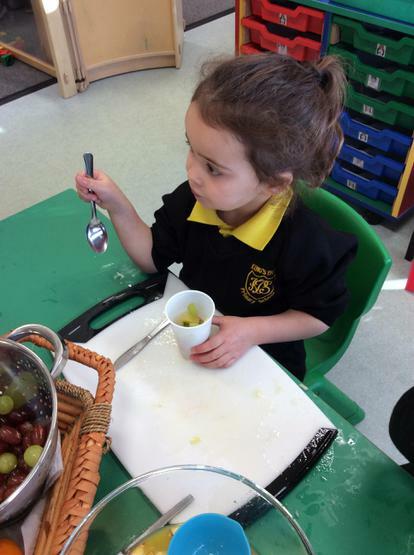 After all of th fruit was cut up, we enjoyed tasting our fruit salad - it was very yummy!